The building pictured above is a 24’W x 30’L x 11’H vertical roof garage with two 9’x8’ garage doors. This metal garage can do much more than shelter vehicles and outdoor equipment from the elements; it can serve as a storage unit, man cave or she shed, or an additional housing unit. 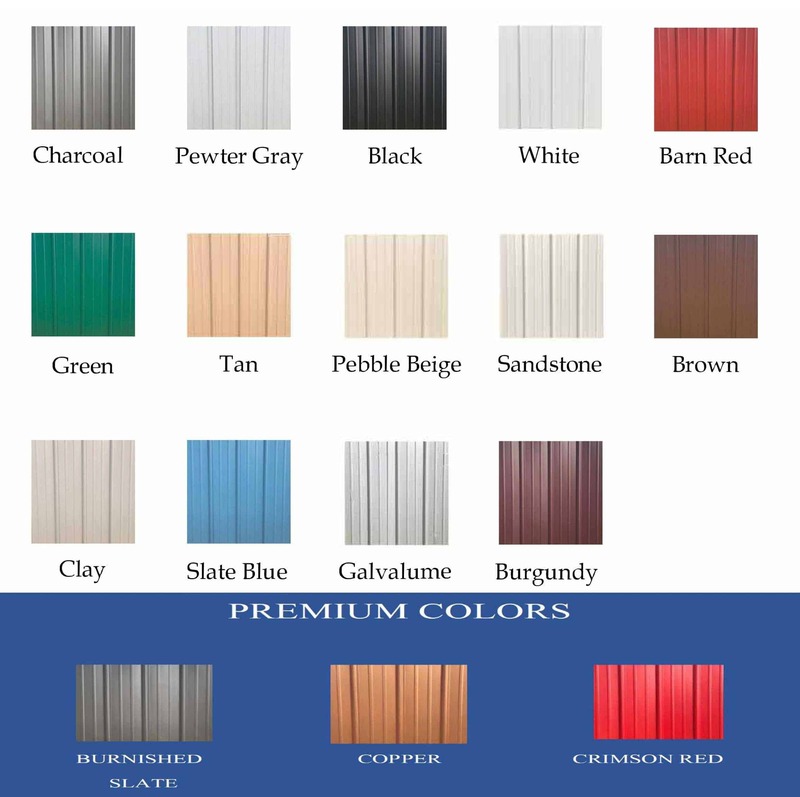 Metal buildings are engineered with flexible designs that allow them to suit all your needs! 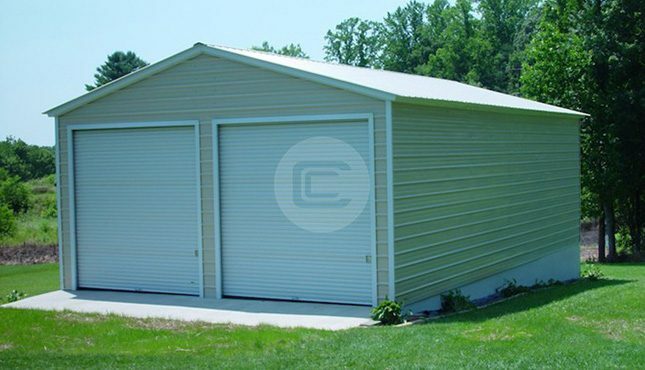 With a small deposit you can own this 30’ long garage today, delivered to your site and installed free of charge! If you would like more information about this unit or our additional programs and services, call one of our friendly building specialists at (844) 860-4950. Everyone was very helpful and responded quickly to all of our concerns and questions. Zack was very helpful and a great person to deal with. I really liked being able to purchase everything as a total package including the insulation and extra materials for framing our office. We look forward to dealing with Carport Central in the future.